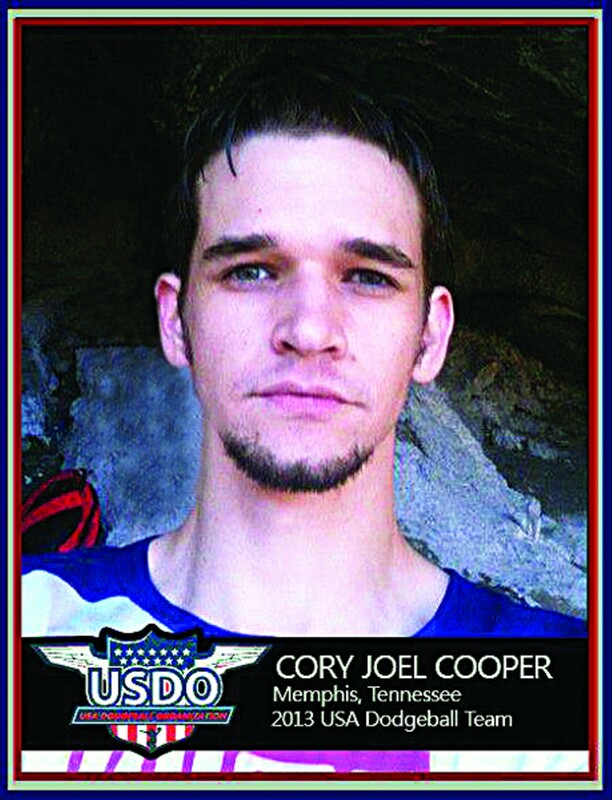 Cory Cooper is a dodgeball fanatic. When he’s not playing the sport, he’s promoting it. When he’s not promoting it, he’s working on designing the first ever dodgeball computer game, and when he’s not doing that … well, you get the picture. After playing the sport for more than 10 years, Cooper has become one of the most elite dodgeball players in the country. He’s played all over the United States and Canada, and after being asked to join the USA Dodgeball Team, he’ll have the chance to take his skills to New Zealand for the dodgeball World Invitational. We caught up with Cory before the Memphis dodgeball City Championship Tournament to find out more about the sport he loves. Flyer: When did dodgeball become more than just a fun hobby for you? Cory Cooper: A kid from my neighborhood organized games at a tennis court, and we would play after school. 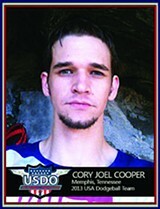 I played in the free events in DeSoto County before the Memphis Dodgeball League began in early 2007. One night in 2011, I spent probably seven to nine hours on the computer emailing different dodgeball organizations across the world about starting an international dodgeball association. I wanted to start connecting these countries and had a goal of doing a world-cup-type event. I woke up three hours later, and I had 14 countries involved in the group. Sounds like you're just as much of a promoter as you are a player. I'm always looking into ways to help the sport grow. I'm currently talking with people in the Russian Dodgeball Association about going to Russia to work with them on the sport. Part of my plan is to help find and train the top players to represent their country in international events. I'm also working on a dodgeball game for the computer to show people the true history of the sport. How did you end up on the men's USA Dodgeball Team? I applied early, and I sent them a series of videos of entire games of me playing. They chose seven girls and seven guys. I think the closest people to our area [besides myself] who made the team were from Chicago. Being good at dodgeball wasn't the only requirement to make the team. They also wanted to know what you've done to make the sport grow. The team doesn't have the money to fly everyone to New Zealand at this point, so we are responsible for airfare and everything else. Tell me more about the World Invitational in Queenstown, New Zealand, that you'll be playing in this September. We're going to be playing a lot more games than in the average dodgeball tournament, which will be a first for me. I'll also be playing against a lot of new people who approach the sport differently. So far, there are seven teams confirmed, but this is the first World Invitational, so I don't really know what to expect. Is this something that you can make a living doing? Because the sport is still growing, there are only one or two players who can make a living playing dodgeball. A lot of the bigger tournaments have cash prizes, some as big as $25,000. Some bigger cash prize games are starting to pop up as the sport gets more recognition. As far as the upcoming tournament in New Zealand, I think if I play well, I'll have the opportunity to pick up more sponsors and travel more with the U.S. team. Other World Invitationals have already been announced.